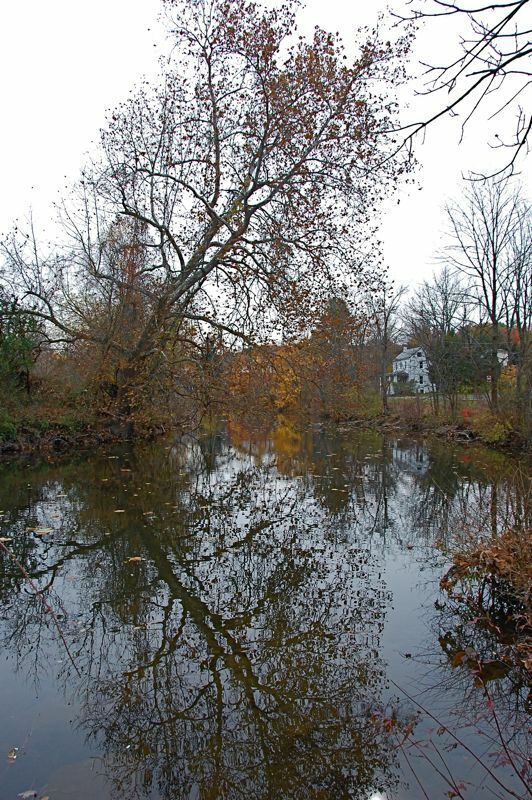 Whenever I drive down Geryville Pike, I always notice an attractive white tree reflecting in the Unami Creek. So the other day when I had a bit of time, I stopped to try to get a photo. The light was at a bad angle for the tree that I like and the reflection wasn't very good. But this other tree leaning over the creek made a nice shape with its reflection. If you were able to zoom in on the creek under the tree, you'd see the ducks I posted a few days ago.